So, I never take relaxing vacations. You know the type I’m talking about. Those wonderful, luxurious, indulgent trips your friend always seems to go on. The all-inclusive types, to places like Hawaii or Cancun, or some other place that’s beach-y and warm. Nick (fiancé) and I always talk about doing one of those. Let’s go during the winter when it’s cold! Let’s just relaaaaaax. That would be AWESOME, we say. The next trip we do will be a relaxing, do-nothing, sit-by-the-beach-drinking-pineapple-flavored-iced-drink-type-things, we say. Can you picture it now? Well, we say these things. We ponder them and delight in the idea. And then we just don’t. Instead, we typically book short trips to places like Portland, or family visits back East. Places we want to explore every inch of, or see as many friends/family as we can. And then we go to those places. And we run around and sight-see and visit with family. And it’s great. But one of these days, I am just going to up and book that all-inclusive, beach vacation. And it will be glorious. 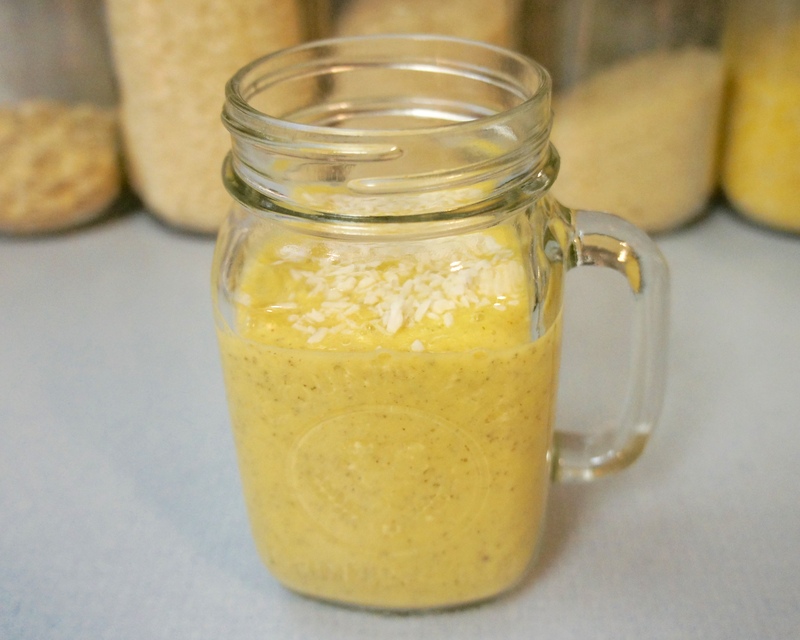 I made this smoothie because there was a sale on organic mangoes at the store yesterday. Yes, believe it or not, mangoes have two seasons – one in spring/summer and one in fall/winter. Apparently they are quite plentiful in January. I paired this wonderfully ripe and juicy mango with some yogurt for tang, and some chia seeds for fiber and substance. Topped it all off with some unsweetened coconut flakes and some cashew milk. Blend, blend blend, and YUM. A refreshing blend of mangoes and coconut. Mix chia seeds and water in a small bowl. Let sit for about 5 minutes. 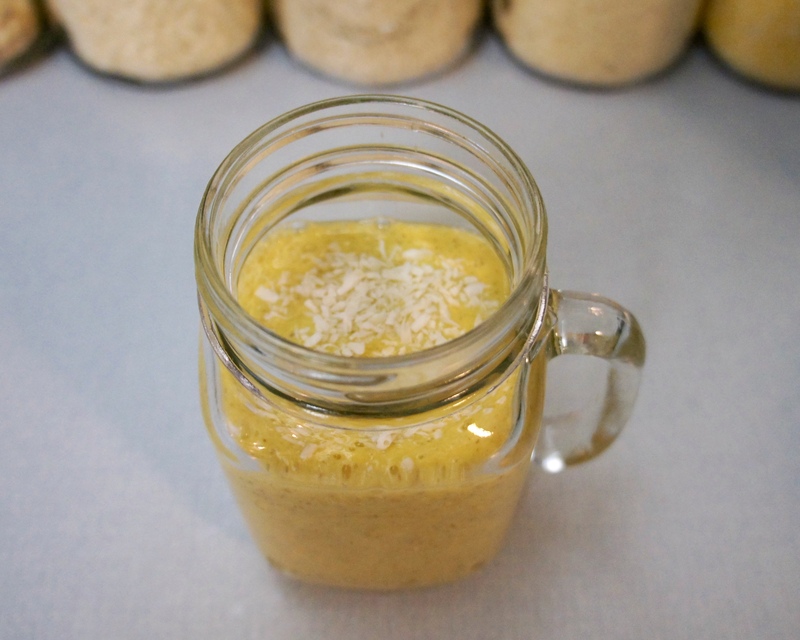 Put all ingredients (except coconut flakes) into the blender and blend until smooth. Stir in coconut flakes for texture. If you don't have a ripe mango, using frozen is just fine!